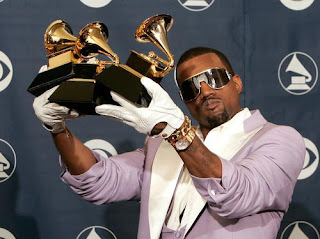 Kanye West sets another benchmark in the music business. Though it's been more than a year since Kanye West 's album The Life of Pablo first his the eardrums of fans the world over, with memorable tracks like "Fade" & " Father Stretch My Hands Pt. 1" becoming mainstays on rhythmic radio. A decided upgrade over his previous effort, 2013's Yeezus , Pablo represented a return to form for one of hip-hop's most boisterous and somehow also most enigmatic personalities. According to a new report from BPI , West recently set a new benchmark in the music business with this album, pushing forward the notion that streaming is indeed going to be the way that consumers interact with music over the long haul. The report states that The Life of Pablo has become the first-ever album to be certified Gold in the U.K. on the strength of its streaming numbers alone. This means that Kanye's LP moved the equivalent of 500,000 units without giving fans the option to pick up physical copies of the release. Earlier this year, Billboard announced that they'd be putting the conversion of 1,500 on-demand song streams from a given album to be the equivalent of one album sale. If the same numbers hold true across the pond, then Kanye West's The Life of Pablo would need in the neighborhood of 750,000,000 song streams from the album to reach Gold status. Will it become the first album to go platinum based on purely streaming numbers in the U.K.? Only time will tell. This puts the LP in good company with the rest of Kanye's discography, which have all been certified Gold or Platinum in Britain, including his collaboration with Jay-Z, Watch the Throne . His two most successful albums in that market are "Late Registration" & "The College Dropout," both of which have been certified 2x Platinum. Talking about previous Yeezy releases onyl heightens the anticipation for his new music, which he has supposedly been working over the course of several studio sessions that took place this spring and summer. What it will sound like or what thematic direction Kanye will take things in hasn't been expressed publicly, but with his stellar track record as an artist, it will undoubtedly be worth listening to.